Israeli Prime Minister Benjamin Netanyahu meets his Hungarian counterpart Viktor Orban today in Budapest—the first visit of an Israeli premier since 1989. 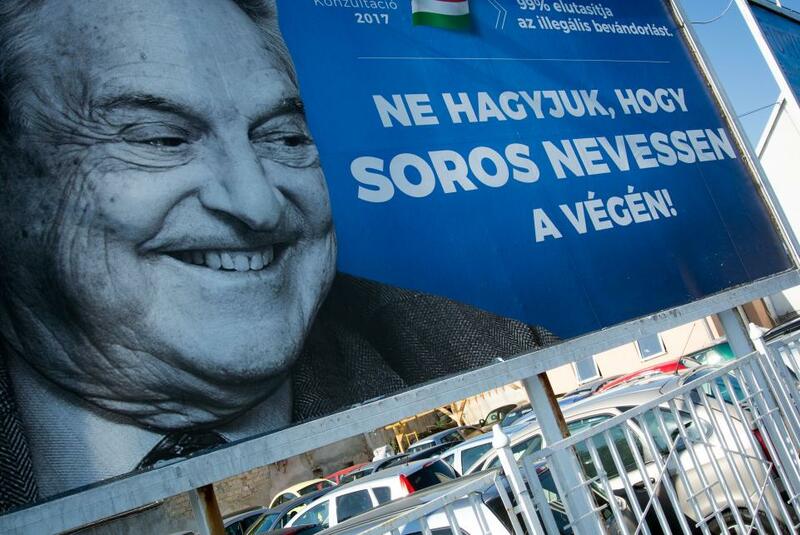 Netanyahu’s visit comes after Orban’s nationalist Fidesz Party began a poster campaign (above) castigating Hungarian-American billionaire George Soros. Soros is anti-Orban and Jewish, and some vandalised the posters with swastikas and slurs in protest. A 2015 poll showed that 40% of Hungarians harboured anti-Semitic attitudes. Soros’ liberal agenda has often gone against Orban’s right-wing government: He donates millions to anti-conservative Hungarian NGOs. In the middle of election season, some allege Orban deliberately provoked anti-Semitism for popular support. At Netanyahu’s urging, Israel’s foreign ministry only gave a blanket condemnation of anti-Semitism. It further agreed with Budapest’s decision to vilify Soros, noting his “funding [of] organisations that defame the Jewish state,” such as pro-Palestine Human Rights Watch. Netanyahu himself prioritises economic ties. Ignoring cries from Hungarian Jews and the Israeli right, he displays his commitment to $500 million of trade and cooperation in sectors like energy and water.